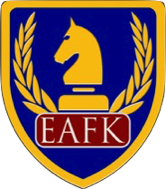 EAFK is an evolution of a national award-winning character education program created by Randall Parr in the late 1990's called, "The Knight Life". A former US Naval officer, Randall conceived The Knight Life after two years of teaching core values and character to military recruits. This experience made it clear that character would be more effectively taught to 5-12 year-old schoolchildren rather than young adults. To do this, a unique program would be needed that would make character education fascinating for kids to learn, easy for educators to teach in the classroom, and supported by parents at home. Upon visiting a medieval-themed dinner show in Florida, Randall chose to model his new program around the exciting world of gallant knights and chivalry. 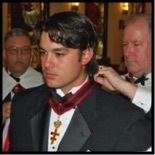 The Knight Life earned much acclaim over the next few years, ultimately receiving honors from The Washington Times and members of The United States Senate for its groundbreaking success. Randall next conferred with Rotarians about taking the program to a new level by working with Rotary Clubs to help schoolchildren everywhere learn about the value of "service above self". Modifications were made, and EAFK was born.